We sell and deliver landscape materials including Stone, Sand, Mulch. We also offer sales and service of outdoor power equipment. Come see our vast selection of mowers, chainsaws, blowers, trimmers, and more from top manufacturers including ExMark, RedMax, ECHO, STIHL & FERRIS. Additionally, we sell and repair your winter snow equipment including snowplows and salt spreaders. 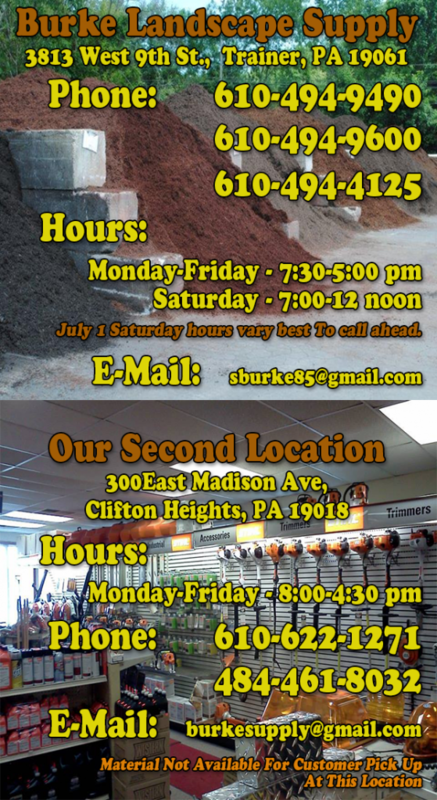 Burke Lawn Equipment, our Clifton Height’s location, is your reliable repair service center. We have genuine OEM parts and great prices. Burke Lawn Equipment uses OEM replacement parts to ensure you receive the most from your repair. We even stock chainsaws, blowers, and trimmers. We repair your winter equipment as well covering Meyers, SnowDogg by Buyers, BOSS and WESTERN. Burke Landscape Supply has the knowledge and skills to guide you through your new equipment or repair needs. We even offer genuine lawn mower parts. Call us at 610-494-9600 with your questions to see how we can accommodate your lawn equipment repair needs in Delaware County. When you choose Burke you get quality landscape materials, quality repair service, and instant access to the best products from eXmark, Ferris, ECHO, RedMax and STIHL. Follow I-95 South to Market St. (RT-452) exit turn left on RT-452 South. Follow RT-452 south. To Ridge Rd. (light, Sunoco) turn left and follow Ridge Rd. ½ mile past Congoleum. Burke landscape supply (3813 w. 9th St.) Is on right. You want landscape materials stone sand mulch delivered in a timely manner. We deliver your mulch in the same day or next. 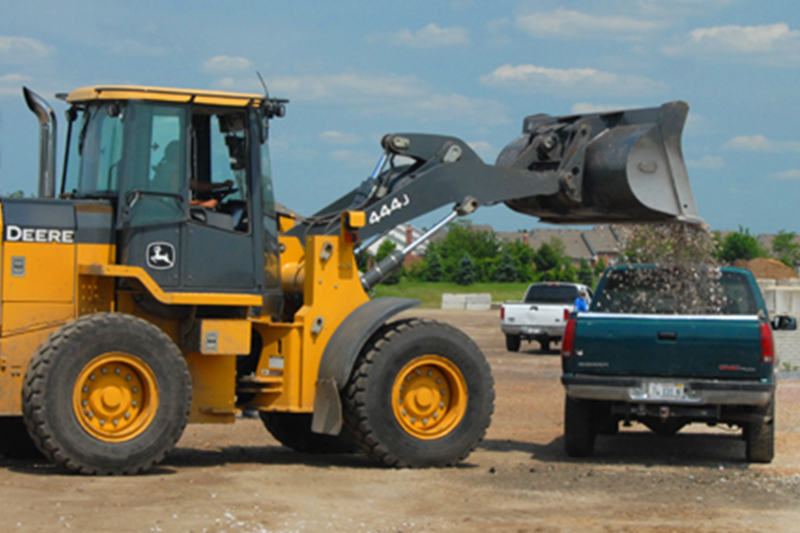 Call today to get a quote or schedule a delivery of materials stone, sand, mulch or topsoil. Have your mulch delivered to residential or commercial properties. Calculate your landscape material needs with our Material Calculator. Both save you time. Start now. Place your request for a quote or order your landscape materials online. Schedule your delivery. In most cases same day service is available if not then next day delivery available. Have your mulch delivered in a timely manner. Call today to have your mulch brought to your residence or commercial location. Most times we deliver same day, Call 610-494-9600 today.